This solid gold belly button piercing is a true masterpiece. Elegant in design, not to fragile and a striking glimmer. 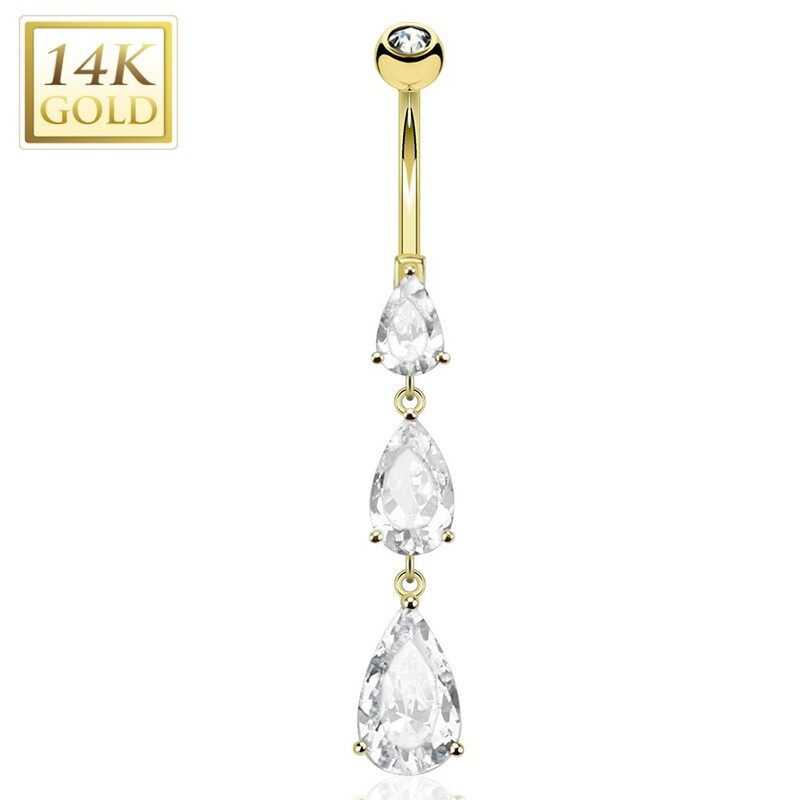 True solid gold quality that will always keep its gold looks and not wear down like a gold plated belly ring eventually will. The three crystals are ascending in size and connected with a small gold ring. If you might get stuck with your pendant the rings can snap open preventing any further damage. You can easily repair the pendant by reclosing the rings with some pliers.